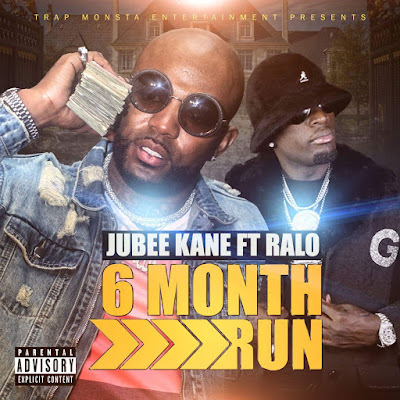 Trap Monsta Entertainment releases new single from artist Jubee Kane “6 Month Run” featuring Ralo / Ralo LaFlare. This single is the first release off Jubee Kane upcoming mixtape “6 Month Run” hosted by OG Bigga Rankin. The video for the single has been completed and schedule to release in upcoming weeks via World Star Hip Hop. Stayed Tuned for more from artist Jubee Kane.